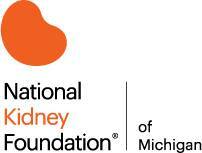 To kick things off, we've chosen the National Kidney Foundation of Michigan (NKFM). For each order we process from April through July we will be donating $5 to NKFM! The NKFM is the largest affiliate of the National Kidney Foundation Inc and provided services to more than 80,000 people in Michigan last year. They are rated as one of America's top non-profits and for the 8th consecutive year, they were recognized by Charity Navigator as a 4-Star charity. The NKFM leads the charge to prevent kidney failure and diabetes in Michigan with fantastic evidence-based programs, making our community a healthier place to live. Print-Tech is proud to support the NKFM's employees and volunteers in their mission.